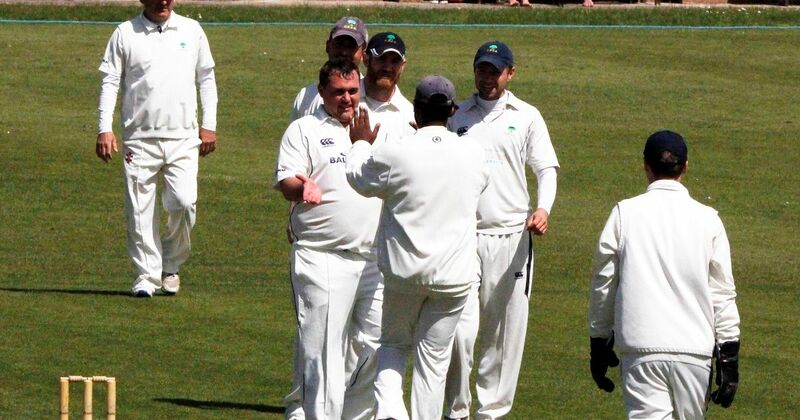 Daily Post – Liverpool Cricket Competition Paul Jenkins and Ryan Holtby were both four-wicket heroes as Colwyn Bay recorded their first win of the season in the Liverpool Competition 1st XI ECB Premier League. Northop Hall’s promising start to the season hit the buffers when they lost at home to Maghull in the 1st XI Second Division. Read More Colwyn Bay seconds won by three wickets at Leigh in the 2nd XI First Division. North Wales League 1st XI Premier Division: Bangor (13) 205-4 Pwllheli (2) 204-9, Brymbo (13) 107-3 Denbigh (2) 106-10, Hawarden Park (11) 161-10 Llandudno (4) 159-10, Menai Bridge (15) 245-7 St Asaph (0) 124-10, Northop (11) 135-7 Connah’s Quay (4) 134-10. 2nd XI PremieR: Buckley (4) 138-10 Brymbo (11) 142-8, Carmel (1) 103-10 Northop (14) 107-2, Denbigh L Mochdre L, Gresford (13) 145-4 Bangor (2) 144-8, Llay Welfare (15) Hawarden Park (0), Pontblyddyn (12) 80-6 Menai Bridge (3) 76-10.